Thai Massage is a system of massage and manipulation developed in Thailand and influenced by the traditional medicine systems of India, China and South East Asia as well as by yoga. In Thai language it is usually called ‘nuat phaen thai’ or nuat phaen boran’. The Message recipient changes into loose, comfortable clothing and lies on a mat or firm mattress on the floor. The receiver may be positioned in variety of yoga- like positions during the course of the massage but deep static and rythmic pressures form the core of the massage. The massage practitioners leans on the recipient’s body using hands and usually straight forearms locked at the elbow to apply firm rhythmic pressure . The massage practitioner leans on the recipient’s body using hands and usually straight forearms locked at the elbow to apply rythmic pressure. The massage generally follows designated lines (sens) in the body. Legs and feet of the giver can be used to fixate the body, while the feet do the messaging action. Thai Aromatherapy Massage involves gentle manipulation of the soft tissues but essential oils do the work – 100% pure extracts from plants, trees or flowers are applied to your skin, diluted with vegetable oils to avoid irritation. Aromatherapy is a type of massage using oil, not only aroma influences the brain by working on the mood but essential oils may have pharmalogical effects. They are known to promote relaxation and well-being, release muscle pain and enhance energy. They all have their own healing properties. The oil is chosen according to your condition and expected effects. Foot Reflexology Massage can be a deeply relaxing and therapeutic modality for those suffering from plantar fasciitis, ankle injuries or even everyday work and play. At Mayflower Massage & Spa your massage therapist will apply traditional and sports massage techniques to the foot, calf and upper leg. This will not only help relieve toe pain, ankle pain, plantar fasciitis and common forms of arthritis but can also decrease stress and anxiety in the entire body. In addition, a variety of stretches can be beneficial. With pain and sensitivity in the foot, heel and calf areas be sure to communicate your pain levels with your massage therapist during your treatment. Its is also good idea to rest after your reflexology massage. This massage is for those who lead a busy life, this treatment is perfect for all your needs. Head & Shoulder massages target the places that give you the most tension like the head, neck and shoulders. This truly relaxing experience for those that needs a good break from your working life style. This massage focuses on the primarily part of your feet which activates the body’s natural healing sectors. There are area’s in the hands and feet that can relate to the organs, glands and systems of the body that can help with your health. This is a safe and natural way that can maintain the health and well-being of yourself. Reflexology can help relieve problems with headaches, migraines, insomnia and stress related conditions. The soothing massages can be slow and gentle or even be vigorous and bracing, which can reduce the pain of relaxing muscles. Using long gliding and strokes to rub the muscles to reduce tension, relieves stiffness, aches and improves all of your circulation. The deep tissues massage is compared to the Swedish massage, but this applies more deeper pressure to the chronic muscle tension. This treatment focuses on the deepest layers layers of muscle, tendons and fascia. Deep tissue massage is a particularly used for people wit persistent muscle pain and those with persistent muscle pain and involved in a heavy physical activity. The nail treatments we do are manicures which is performed on the hands whilst the massages are being produced. The nail treatments include painting nails, clipping nails and massages of the hands. Our manicures include the painting pictures or designs on the nails whilst we apply small decals or even imitation jewels. We also include pedicures in our treatments as well. A Pedicure is done during any of your massages these can include cosmetic treatments of the feet and toenails. This can be compared to a manicure because it is used in a similar away but done on the feet. The pedicure is done for a cosmetic, therapeutic and medical purposes which helps prevent nail diseases and nail disorders. 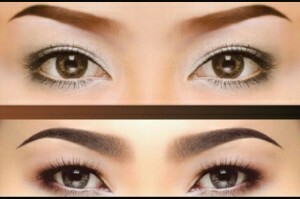 Eyebrow Threading is a method of hair removal which was originated in India. This is a ancient method that people now use in recent times has become popular in many western countries, especially with a cosmetic application for removing and shaping eyebrows. We use a thin cotton or even a polyester thread which is doubled and then twisted, this then can be rolled over the areas of unwanted hair. Unlike tweezing which single hairs are pulled out one at a time. Threading of the eyebrows can be more gentle and provides more of a controlling eye shaping eyebrow and is more gentler on the skin. This can be painful as this takes several hairs away from the skin, but once removed this can be a minimised if this is done correctly.